THE KING OF Mac & Cheese is in a sticky spot. On February 21st Kraft-Heinz, a consumer-goods giant whose brands include HP Sauce and Oscar Mayer hot dogs, announced it faced four serious problems. It said profits in 2019 would be well below expectations. It cut its dividend. It disclosed that it had received a subpoena from the Securities and Exchange Commission regarding its accounting policies. And it announced a $15.4bn write-down of goodwill, pushing it into a $12.6bn loss for the fourth quarter of 2018. The firm’s share price has sunk by over 20% since the news. On a call with Wall Street analysts, the company said that the impairment was linked to supply-chain issues and rises in interest rates, which make its future cash flows less valuable. But analysts worry it is facing deeper challenges. Consumers are yearning for healthier, less processed food. Supermarkets are giving fresh produce more space, at the expense of tinned products. And the rise of online grocers like Amazon is further disrupting distribution channels. Even before the latest sell-off, Kraft’s shares had fallen by about a third since 2015. The group’s woes are feeding doubts about its business model—and heralding a possible fall from grace of the “lean-and-mean” investment strategy followed by 3G Capital, the Brazilian buy-out house that has controlled the firm since 2013. 3G’s founders, who include Jorge Paulo Lemann, Brazil’s richest man, started off in 1989 as mere “finance guys” (their own description). Having made their fortune by founding an investment bank—later sold to Credit Suisse—they bought Brahma, a domestic beer business. In the two decades that followed, the firm gulped down scores of brewers, including America’s Anheuser-Busch, acquired in 2008, and Britain’s SAB Miller, purchased for $123bn. AB InBev is now the world’s largest beer company. Yet beer, it turned out in the 2000s, was just the aperitif. 3G moved on to other targets. In 2010 it bought Burger King to make it the starting point of its second “platform”, focused on the restaurant sector, which it expanded in 2014 through the purchase of Tim Hortons, a Canadian fast-food chain. 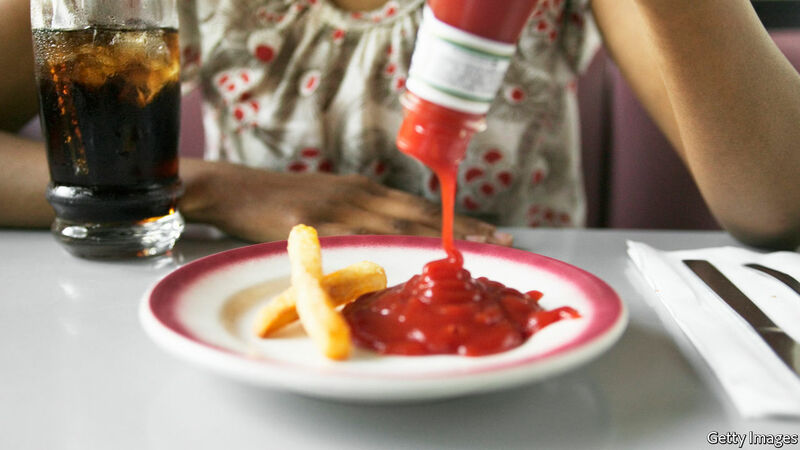 The group’s appetite grew further when it set out to build a third platform, in the consumer-goods industry, by buying Heinz in 2013 for $27.5bn and combining it with Kraft two years later, through a $62.6bn buy-out. Bold acquisitions, financed with dollops of debt, are only one facet of the 3G method. The firm is also well known for its aggressive cost-cutting, through an approach known as “zero-based budgeting” (getting managers to justify every single company expense, big or small). Critics resent the human cost—Kraft and Heinz have some 10,000 fewer staff than they did in 2013. But investors were impressed: 3G’s firms became more profitable, fast. Warren Buffett, a vastly successful investor, co-invested with them to purchase Heinz, and followed on with Kraft. 3G’s success relied on a double-whopper of financial insights. First, until recently, debt was cheap, while the yield on consumer businesses’ shares was rather high. By financing the acquisition of the latter with much of the former, 3G and its partners could pocket a tasty spread. Second, investors have tended to undervalue the endurance of consumer brands like Kraft, so costs could be slashed without seeing sales decrease by much. That recipe allowed Kraft and other platforms to post margins above the industry average, pleasing investors. But the model seems to be running out of steam. In late 2018 AB InBev cut its dividend after weak third-quarter profits. Shares in the maker of Budweiser have fallen by over a fifth in the past 12 months. Gross operating profits are stagnant at Restaurant Brands International, the parent company of Burger King. It named a new chief executive in January. Critics say 3G’s approach has starved valued brands of crucial investments and that consumers, however loyal they may be, end up taking umbrage. The group can point to new product launches and daring marketing plans. But investors in Kraft and some of 3G’s other companies think it might be too little too late. Some even organised demonstrations outside 3G’s offices in New York and Warren Buffett’s office in Omaha last year to complain that both firms have cut costs too much and remain out of touch with consumer behaviours. 3G might be tempted to attempt another mega-deal to tackle these problems, hoping that another acquisition will generate the synergies needed to give profits a boost. But that is becoming trickier. AB InBev will find it hard to buy a large rival without facing antitrust problems. Kraft says it is back in acquisitive mood, but its failed $123bn bid for Unilever in 2017 shows that 3G’s reputation as a cost-cutter is not to the taste of every investor. Higher interest rates and dearer equity valuations will also compress the spread that 3G makes between its cost of funding and the cash flow that its acquisition targets throw off. Like a soufflé that ends up falling, profits boosted by lean-and-mean tactics may not be sustainable in the long run. 3G will have to invest more in its businesses to turn them around. That may sound like an old trick. Then again, cutting costs to boost returns was hardly inventing the wheel.